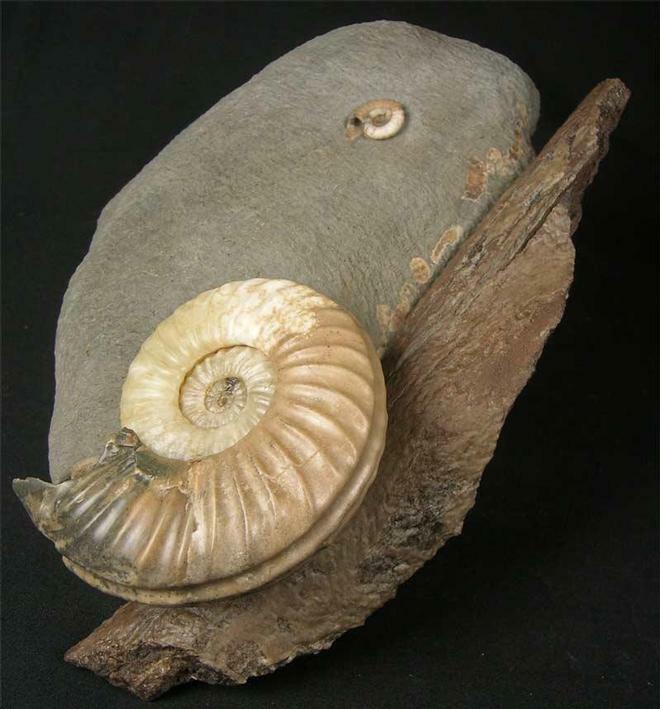 This terrific and high aesthetic fossil exhibits a sold calcite ammonite which is a very unusual colour. The ammonite overlies a partial branch which has wonderful colour and texture throughout and belongs to the ancient Monkey Puzzle tree. 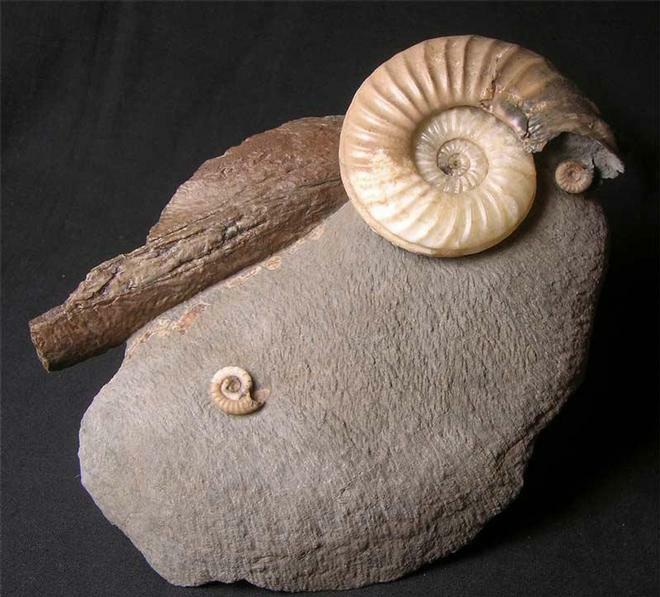 There are also two Promicroceras planicosta's on the same piece. These beautiful combinations of wood and ammonites are real collectors pieces and are becoming very scarse to obtain these days. 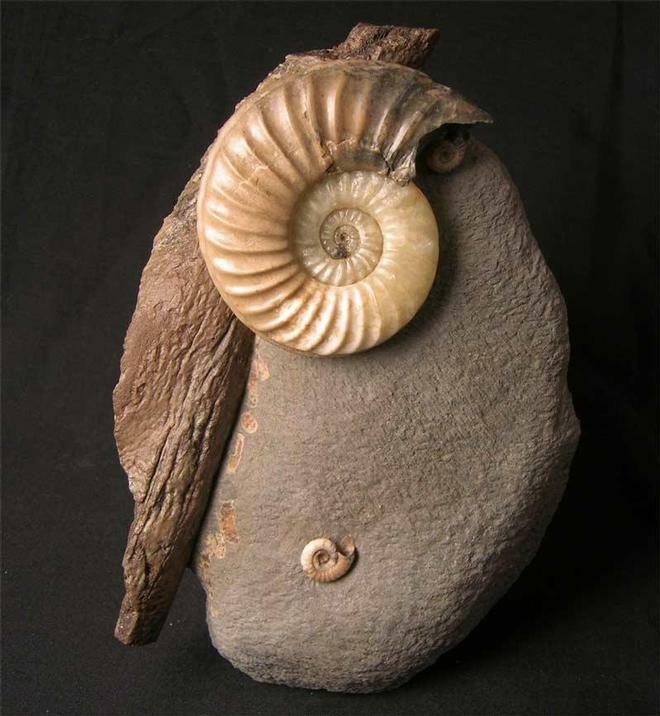 This particular specimen was collected in 1982 and has been prepared by Andy Cowap. 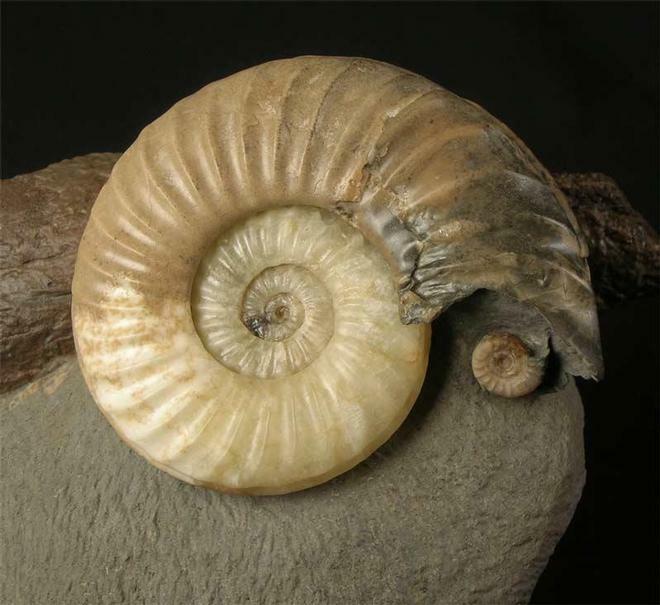 One for the discerning collector of fine and rare UK fossils. Approximately 200 million years old.